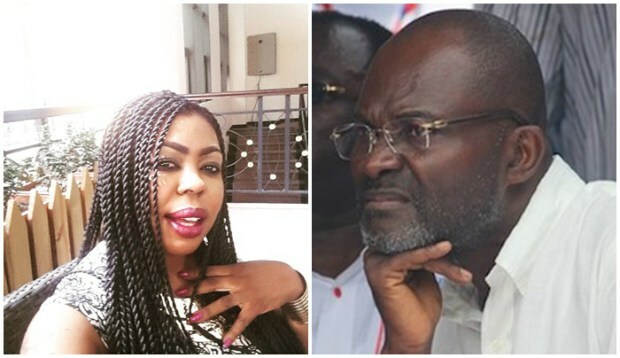 CAST YOUR VOTE: Kennedy Agyepong Vrs Afia Schwarzenegger...Who WON the Battle of Offensive Words? CAST YOUR VOTE: Kennedy Agyepong Vrs Afia Schwarzenegger…Who WON the Battle of Offensive Words? Though our team of warfare experts have already stated that Kennedy Agyepong won the battle of offensive words—and has successfully annihilated Afia Schwarzenegger, we still want to know what the public really thinks. Akosua Abebrese also agrees that, Ken Agyepong has smashed down Afia Schwarzenegger—back to back and down the hill, the Mortal Kombat style. According to Akosua, before taking on Kennedy, “Afia was extremely convinced that she was the unbeatable Queen of insults, though this is a preposterous title for any woman to hold with pride. And then she mistakenly attacked the terminator himself-Kennedy Agyepong—sent from the future by Bishop Obinim to Terminate her. Kennedy Agyepong is not just a grandmaster of insults, his daily existence centers around insults—best described as the foul mouth-piece of the largest opposition party in Ghana. He knows a good fight and if needed, he would descend into the slams to stamp his superiority. As the turn of events has shown, this was a wrong fight for Afia Schwarzenegger to pick—she poked the wrong person. And as a result, her whole existence on the rod of insults has been obliterated. She has been annihilated, murdered and terminated. For once, she has made silence her best friend—shamefully saying she has been advised to keep quiet. When did Afia start to take anyone’s advice when it comes to her insults? That’s what the others are saying, now cast your vote to let us know who won the battle of insults in your assessment. Kennedy Agyepong Vrs Afia Schwarzenegger: Who Won the Battle of Insults?